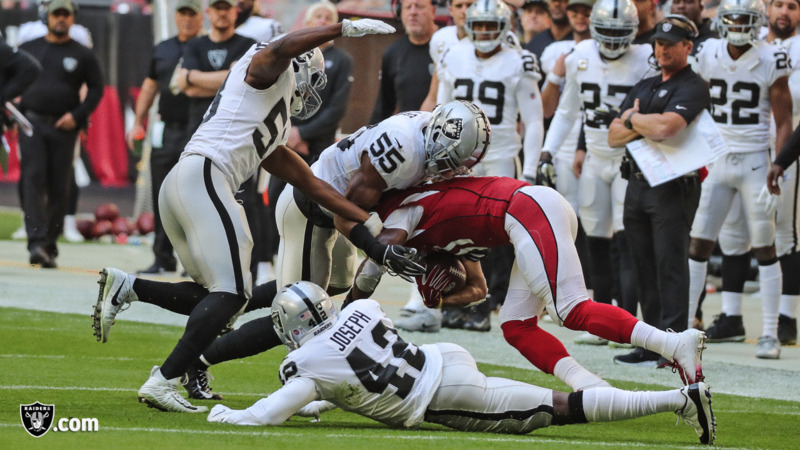 It took the entire 60 minutes of game time, but the Oakland Raiders handled business, and took down Josh Rosen and the Arizona Cardinals at State Farm Stadium Sunday afternoon. The win gives the Silver and Black its second of 2018, but perhaps more importantly, it marks the end of a five-game slide that dated back to late-September. Daniel Carlson was the man of the hour, but Sunday’s win in the desert was truly a collective effort, so let’s take a look back at the playtime percentages from Week 11 and see what we can learn from the numbers. It’s Marcell – Welcome to the NFL, rookie. While Marcell Ateman had been on the active roster for the past few weeks, the former Oklahoma State Cowboy made his official pro debut Sunday against the Cardinals. As a result of a depleted wide receiving corps, Ateman played 65 snaps (96%) in Arizona, hauling in four catches for a team-high 50 yards, and not only that, his 32-yard reception in the final minutes of regulation set up the game-winning field goal. 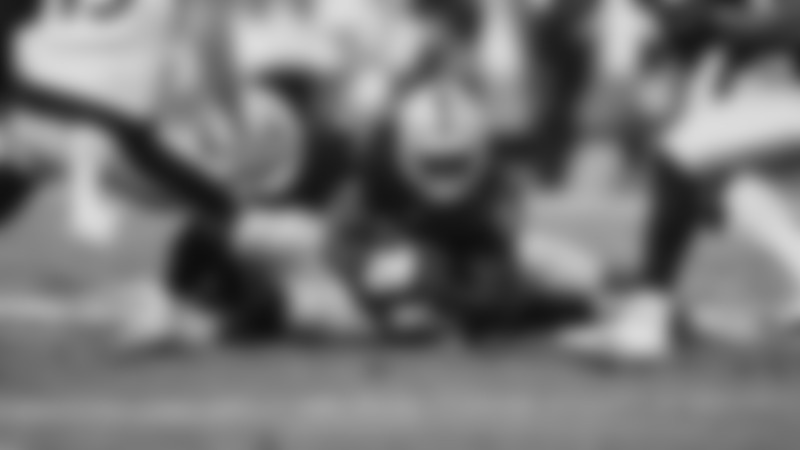 Pound the rock – The Silver and Black were a force to be reckoned with on the ground at State Farm Stadium, and they really did get all the running backs involved. 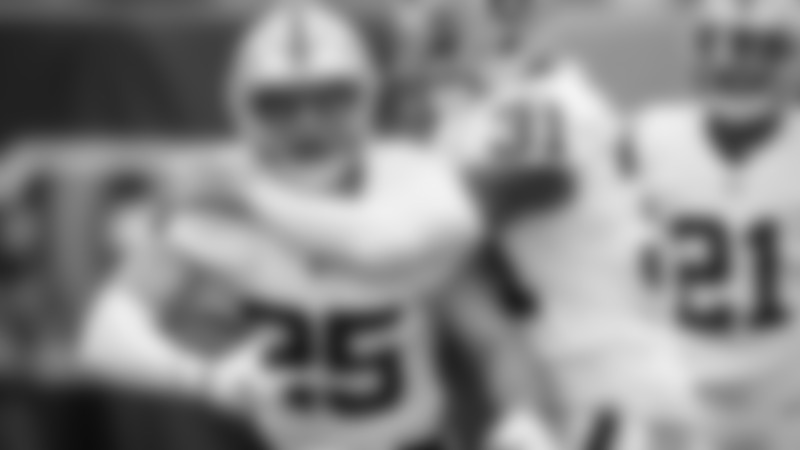 When all was said and done, and the team had notched its second win of 2018, the Raiders had totaled 152 rushing yards – their best effort of the year – and all three running backs got involved. Doug Martin played 14 snaps (21%), Jalen Richard played 32 (47%), and DeAndré Washington added 23 (34%). The strength of the Raiders yesterday was the run game, and they rode it all the way to a W.
Carr gets the job done – Like I said earlier, it wasn’t the prettiest game of football ever played, but give credit to Derek Carr for showing up in the biggest moments, and orchestrating a game-winning drive in the final minutes of regulation. The Raiders signal-caller played all 68 offensive snaps, and completed 19 of 31 attempts for 192 yards and two touchdowns. Not the snazziest stat line of all-time, but hey, it got the job done. 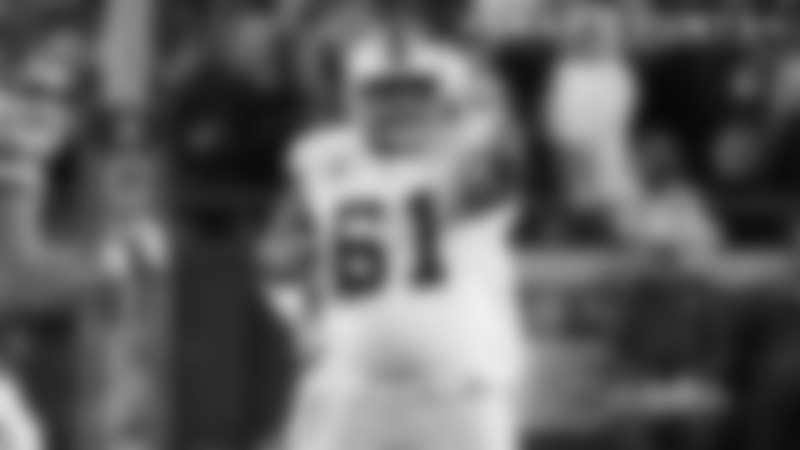 Whitehead paces the defense…. again – For the eighth time in 2018, Tahir Whitehead led the Raiders in tackles. He – along with safety Marcus Gilchrist – played all 54 of the team’s defensive snaps, and the veteran linebacker totaled seven tackles and one tackle for loss in the Week 11 winning effort. Hurst gets home – Mo Hurst’s rookie season has officially become a bright spot for the Silver and Black’s defense in 2018. With his sack of Rosen – his fourth of the season – Hurst is now in sole possession of the team’s sack lead. In total, the former Michigan Wolverine played 33 snaps (61%), and finished his afternoon with five tackles, the aforementioned sack, one tackle for loss, and one quarterback hit. Conley hauls in a pick – The Raiders defense did a great job of limiting Josh Rosen’s effectiveness Sunday afternoon; think about this, he completed just nine passes on the day, but completed two to Raiders. Gareon Conley got that party started early, as he hauled in an errant pass from Rosen in the first quarter, which resulted in his second interception of the season. All told, the second-year DB played 30 defensive snaps (56%), totaling one tackle, his interception, and one pass defensed.